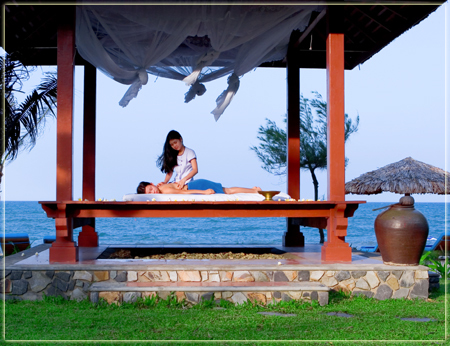 Vietnams cultural diversity stems from its intriguing history dating back more than 4,000 years. Its historical legacy includes a century of Chinese occupation, which has left a very strong foreign cultural influence, evident in the pagodas, local cuisine, and continuing practice of Confucianism. Vietnams regal past can be revisited in the former capital city of Hue, where the Citadel and Royal Tombs represent an era of cultural renaissance. 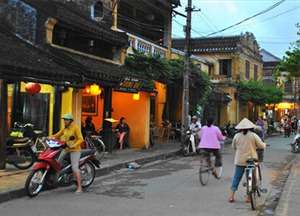 The French colonial legacy is still evident in many parts of Vietnam, as illustrated by the distinctive yellow pastel-colored architecture of its villas and administrative buildings. In Vietnam you can discover unspoiled beaches along the coastline stretching 3,200km and mountainous regions where hill tribe people continue to live isolated from mainstream society. There are also pastoral landscapes of lush rice paddies and fresh vegetation, offering ample opportunities to observe the agrarian lifestyle of eighty percent of Vietnams population. Today, most of the country remains relatively unchanged although in major cities you will discover modern infrastructure and technology. 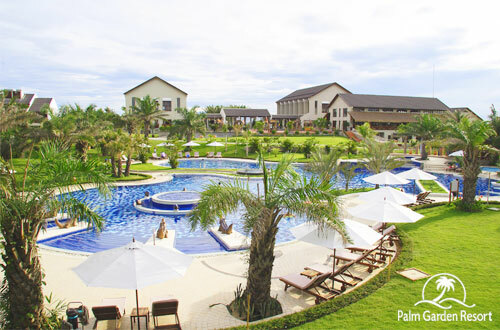 Visitors can choose to travel at various levels of comfort, staying in anything from budget to deluxe accommodations, using public or private transportation, and dining local style or in the finer Vietnamese and international restaurants. If you are in for a cultural exploration, picturesque landscapes, warm hospitality, or an adventure of a lifetime – Vietnam is your destination! Passport details and arrival and departure dates are faxed or scanned and emailed to Asia First Travel no later than 14 days before passengers departure to Vietnam. Asia First Travel submits details to the Immigration Department. The Immigration Department notifies Asia First Travel of visa approval and sends a fax/telex approval to the Embassy or Consulate in the country of visitors residence. Asia First Travel sends a fax copy of the approval to the agent or individual concerned. Visitors cannot get a visa on arrival at the airport unless they have a visa approval letter. Your passport with a validity of at least 6 months. Bring the approval letter and two most recent photos to have your visa stamped at any international airports in Vietnam. The stamping fee you pay is US$25 (cash only) and submitted directly to the Immigration office at the airport. All visitors must complete an arrival card. This should be submitted together with passport and visa to the Immigration Department officials, as well as the Customs officers. The Exit portion will be torn off and returned to the visitor, who should retain this for presentation upon departure. 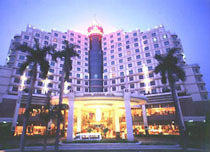 Tan Son Nhat airport is about 7km northwest of the city center. The best way to get into the city is to take a taxi. Pick a metered taxi outside the terminal and the journey should cost between US$10 and US$15. 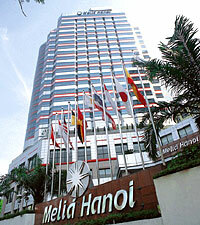 Hanoi’s Noi Bai airport is approximately 35km north of the city. A taxi into the city center is usually set around US$16 (VND250,000). This figure is arranged in advance and therefore no meter is necessary. Do agree the price before setting foot inside the taxi. The official currency is Dong. The Dong is non-convertible and at the time of writing trades at approximately 19000 to US$1. The US dollar, preferably crisp clean bills, is widely accepted among major shops and restaurants. Travelers checks can be cashed at authorized foreign exchange outlets and banks and require presentation of passport. There is normally a 2 to 5 percent transaction fee for cashing Travelers checks. Visa and Master card are becoming more accepted in many of the bigger hotels and restaurants, especially in the larger cities. Make sure that the Vietnamese notes you receive are not torn, this because many shops and restaurants will not accept them. Also try not to change too much money at one time, as you will end up with a large wad of notes. The largest denomination is currently 500,000 dong (approx. US$ 27). The government introduced new 500,000 and 50,000 notes made from plastic (like Australian dollars), rather than the regular paper notes. In 2004 Vietnam introduced coins for smaller transactions. These are in the form of 200; 1,000 and 5,000 Dong. Other paper denominations include 2,000; 5,000; 10,000 20,000 and 100,000. Most are clearly identifiable by color. There are a number of international banks operating in both Hanoi and Ho Chi Minh City with 24hour cash withdrawal facilities, including ANZ Bank in Hanoi and the HSBC in Ho Chi Minh City. Here cash can be withdrawn on Visa and Master cards as well as other cards such as Cirrus but smaller towns may not have them so its best to take cash in advance. Please note that the Vietnamese Dong is non-convertible outside Vietnam. Vietnams elongated shape includes tropical and subtropical zone and is responsible for the varied climate in the country. Generally speaking the best time to travel in Vietnam is when there is a reduced chance of rain; that is during April/May and October/November. The south is hot year round and has two seasons: one wet the other dry. The wet season lasts from May to October and you can expect daily downpours. These are usually brief and easy to predict. 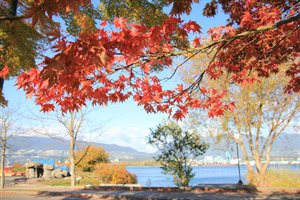 The dry season from November to April is generally sunny and humid. For most of the year Nha Trang is bathed in beautiful sunshine but between November and December the area has heavy rain. 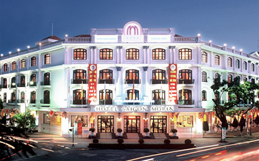 Dalat, at an altitude of 1,500m is cooler than the coastal area, particularly from November through to March. Danang and Hue both experience typhoon activity from mid October to mid December when the climate becomes cooler, more overcast and wet. Summer in the north lasts from May to October where temperatures range between 30-35 degrees Celsius with the occasional burst of heavy rain. The temperature varies from 10-15 degrees in winter (December to March). February and March can be damp with drizzle and overcast skies. 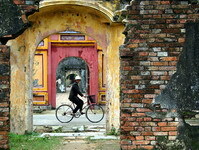 Vietnam was recently voted one of the safest destinations in the world. Women and independent travelers have found it relatively hassle-free and easy to travel throughout the country. Incidents of petty theft and bag snatching are more widespread in Ho Chi Minh City and to a lesser extent Hanoi. A typical Vietnamese meal consists of rice or noodles with soup, a stir-fry, and another main dish and is eaten on a communal basis. The dishes are usually not spicy and are accompanied with chili sauce, fish sauce and soy sauce. The traditional Vietnamese breakfast is Pho – a large bowl of rice noodles flavored with sliced beef or chicken and fragrant broth and garnished with fresh coriander and bean sprouts. The countries 3 main regions, the North, the Center and the South each have distinct cuisine. Generally the North is best known for its noodle soups and meat and seafood stir-fries. The central region especially around Hue has some of the most elaborate dishes. In the south, where there is a greater abundance of spices the food tends to be a little hotter. With over 3,000km of coastline the seafood here is both delicious and varied. Crabs prawns, crayfish and squid are in plentiful supply, not to mention hundreds of varieties of fish. Light, comfortable, easy to launder clothing is recommended. The temperature during winter months in Hanoi and the rainy season in the central region can be cool; a sweater or light jacket can be handy. Good walking shoes and sandals that can be easily removed are recommended, especially when entering temples and peoples homes. 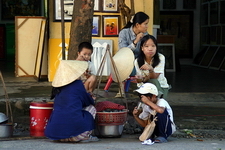 The majority of the population is comprised of the Viet or Kinh (85%); people who speak the tonal Vietnamese. The minority population is made up of over 50 ethnic hill tribe people who mainly live in the central and northern mountainous areas of the country. The best-known hill tribes are the Tay, Hmong, Zao, White and Black Thai (both mainly from the north), and the Hoa. Each hill tribe has its own unique customs and dialect and some are able to speak Vietnamese. Vietnamese, the official language, is a tonal language that can be compared to Cambodias official language, Khmer. With each syllable, there are six different tones that can be used, which change the definition and it often makes it difficult for foreigners to pick up the language. There are other languages spoken as well such as Chinese, Khmer, Cham and other languages spoken by tribes inhabiting the mountainous regions. Although there are some similarities to Southeast Asian languages, such as Chinese, Vietnamese is thought to be a separate language group, although a member of the Austro-Asiatic language family. In written form, Vietnamese uses the Roman alphabet and accent marks to show tones. This system of writing called Quoc Ngu, was created by Catholic missionaries in the 17th century to translate the scriptures. Eventually this system, particularly after World War I, replaced one using Chinese characters (chu nom), which had been the unofficial written form used for centuries. The most important and widely celebrated public holiday of the year is Tet, the Lunar New Year, which coincides with the cycle of the moon. This public holiday usually takes place in late January or early February and lasts officially for three days, although many businesses are closed the entire week. Other important public holidays include the Liberation of Saigon (April 30), International Workers Day (May 1), Ho Chi Minhs birthday (May 19), and Vietnamese National Day (September 2). There is no more colorful time to be in Vietnam than during the days leading up to Tet Nguyen Dan, the most important festival of the year for Vietnams Kinh ethnic majority. Three crucial meetings are said to take place on Tet. The first meeting is between three family deities: Tien su, the deity responsible for introducing the family to its traditional career; Tho Cong, who oversees the land where the family lives; and Tao Quan, the Kitchen God, who cares for the familys food. The second meeting takes place between the dead and the living. People place offerings of food and drinks on their ancestral altars, light incense, and invite their ancestors to join the familys Tet celebrations. The third meeting involves the immediate family. On New Years Eve, family members gather for a dinner of traditional food like banh chung (a square cake made of sticky rice stuffed with beans and pork), mang (a soup of boiled bamboo shoots and fried pork) and xoi gac (orange sticky rice). This is followed by a visit to the local pagoda and perhaps an outing to see the towns fireworks. The Vietnamese postal system offers you most telecommunications services. You could find herein some special services such as: EMS (Express Mail Service), DHL Worldwide Express, UPS, Freight Forwarders. Email & Internet: Thanks to the technology, E-mail and Internet services are available in most hotels and posts in Vietnam. Other places where you could find the same services are in the Internet Cafes (~95% are using ADSL) located in many streets of the major cities. Normally the post will charge you from 3000 VND to 6000 VND per hour for internet service (about 0.19 to 0.38USD) but it could be more in the hotels. Telephone Booth & Telephone Card: Using a telephone booth is an easy way for you to call home. You can find telephone booths at post offices or in the street of major cities. Telephone cards are on sales at GPO, shops, restaurants, book stores. However, it is getting more popular and cheaper to make phone calls over the Internet. These days many Internet Cafes offer you this option. Kindly note if you use this service from your hotel’s telephone, the charge might be a little higher as the hotel will put some service charges over it. Again, making international phone calls by Internet is another relatively cheap option. Mobile phone: In Vietnam, GMS (Global Mobilephone System) is presently operated by three main suppliers: VINAPHONE, MOBIFONE and Viettel. Your mobile phone could be used here by roaming service. These suppliers offer also VINA and MOBI Pre-Paid Card services. The best way for you to use a mobile phone in the country is to buy a pre-paid SIM card for your mobile phone. You can also rent a mobile phone at your hotel or at a Mobile Phone Service Center in the street. Time: Vietnam lies in the same time zone with Thailand, meaning seven hours ahead of GMT/UTC. So close to the equator, Vietnam has no daylight saving time (summer time). Banks are open Monday to Friday from 8:00 am to 3:30 pm and on Saturdays from 8:00 am to 1:00 pm. Lunch time is usually between 11:30 am to 1:30 pm. Many businesses, shops, and all government offices are closed during this lunch period. Shops are open from about 8:00 am to 9:00 pm, with some open longer. Thanks for your time over our website and look forward to seeing you one day in this very small world to enjoy your trip with us.